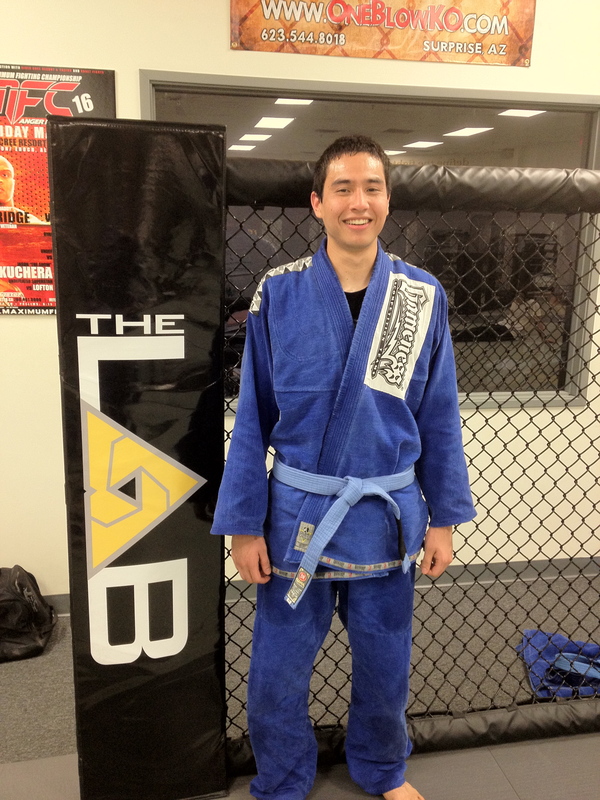 Tonight Geiner Rojas was awarded his blue belt! Geiner is a great guy and has worked very hard to achieve this milestone. Congratulations Geiner, you deserve it! This entry was posted on Saturday, March 24th, 2012 at 1:32 am	and posted in News. You can follow any responses to this entry through the RSS 2.0 feed.